This "old-school" cake is one of my personal favourites. 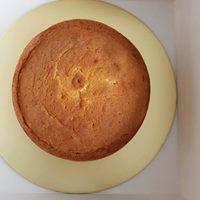 Made with delicious French butter, the cake is delightfully buttery, moist and slightly crumbly. Its savoury tinge also accentuates the sweetness and fragrance of good quality butter - without the need for artificial flavours.